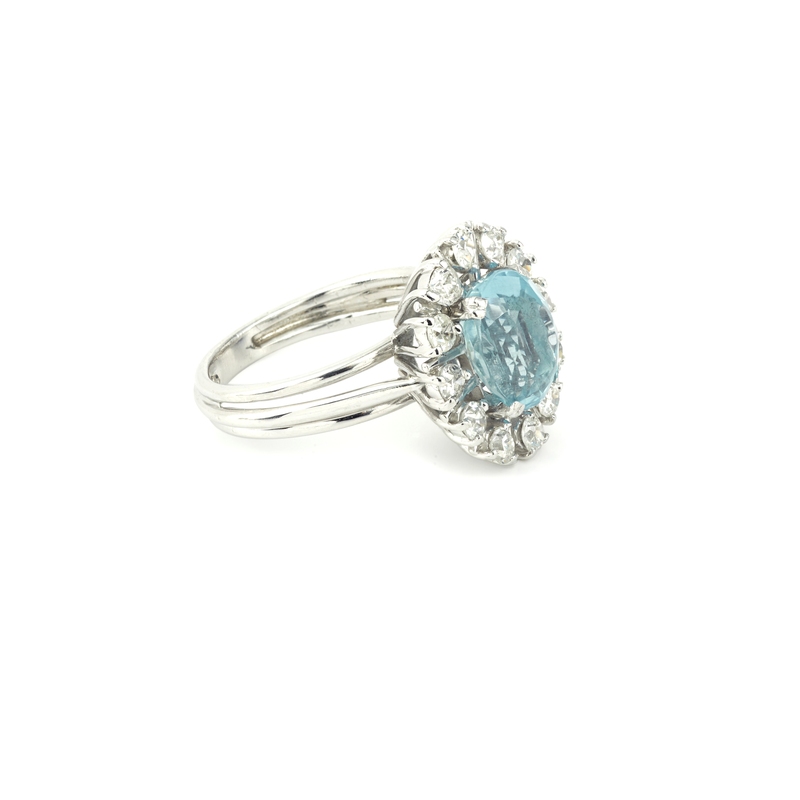 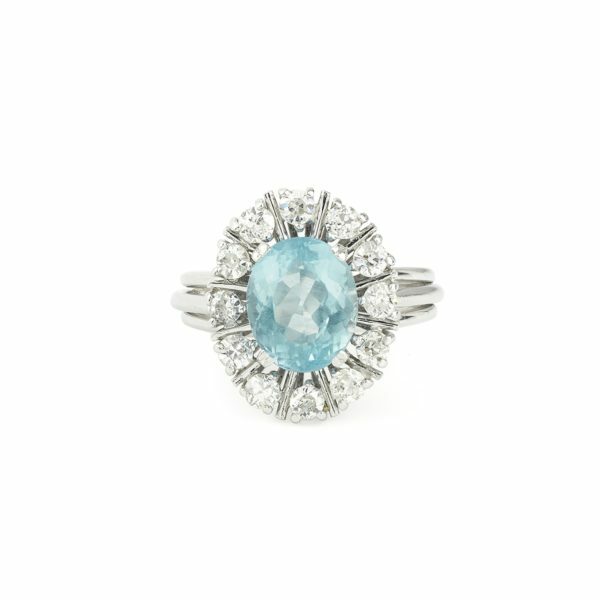 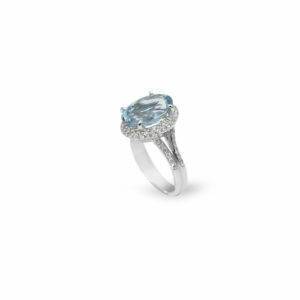 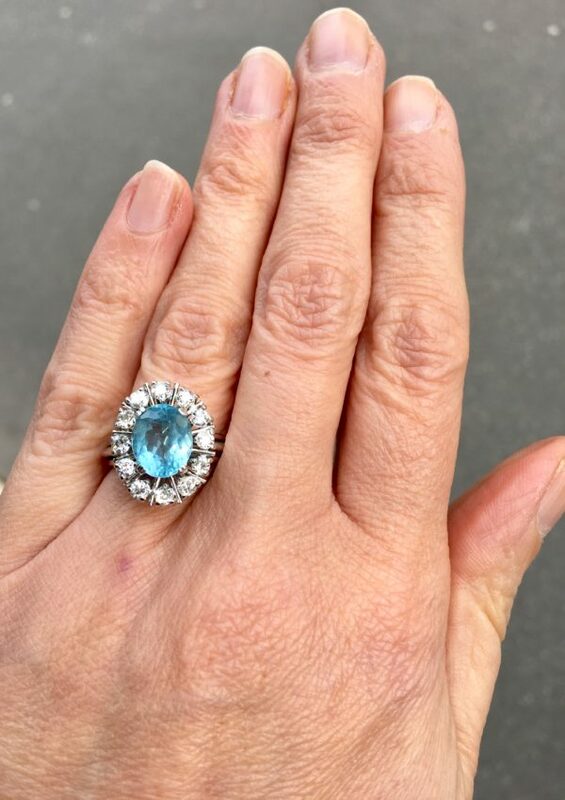 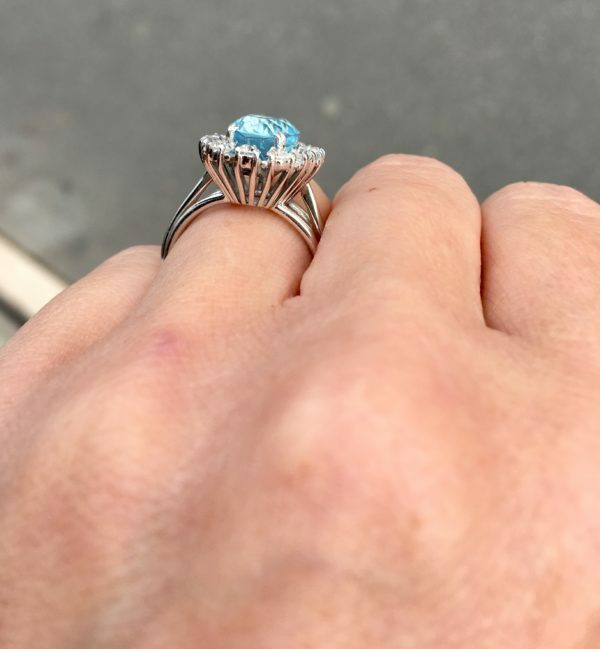 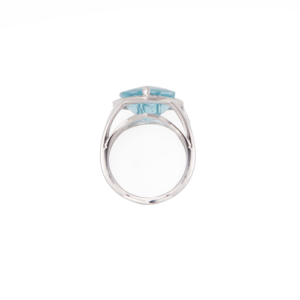 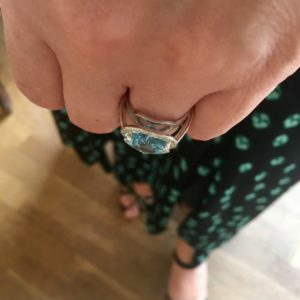 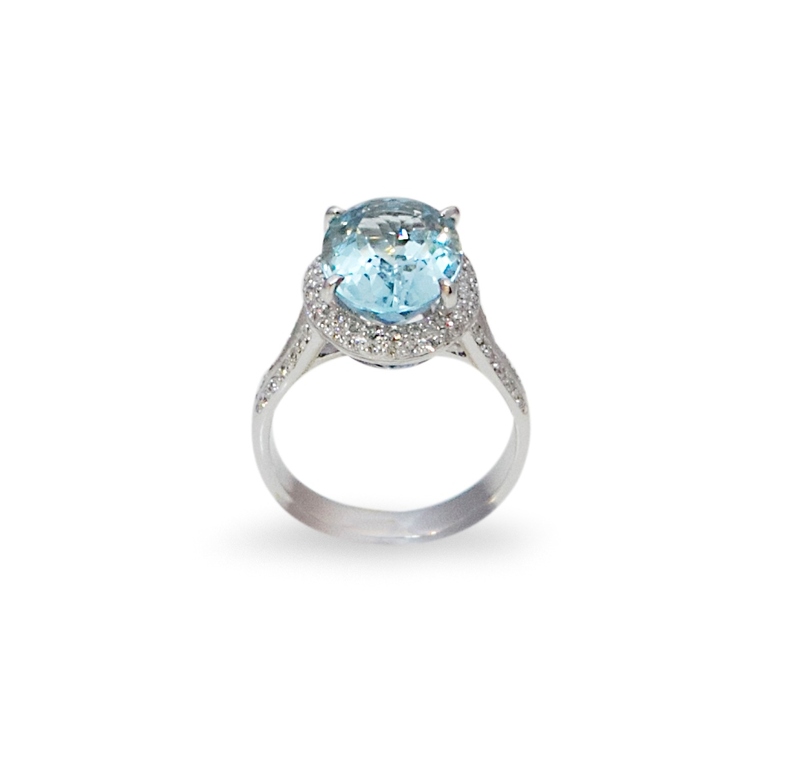 1970’s Daisy shape 2,85 carats Brazilian aquamarine and diamonds cluster engagement ring ! 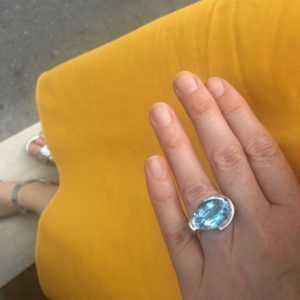 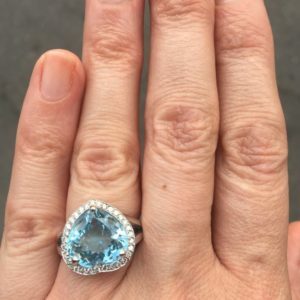 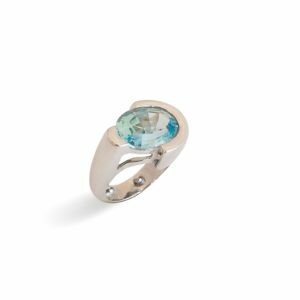 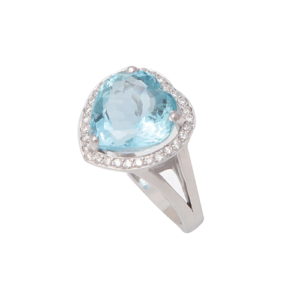 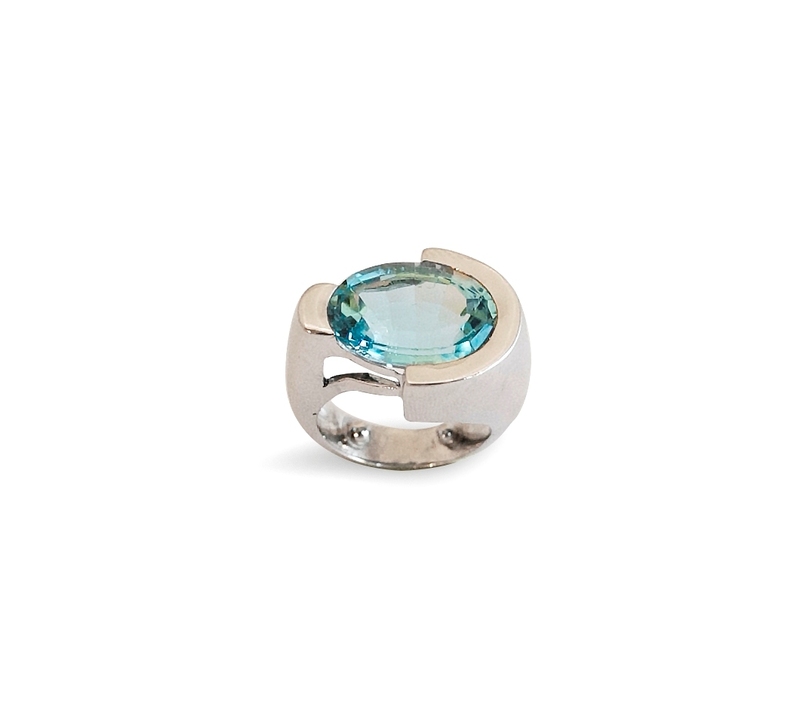 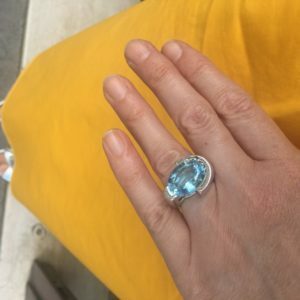 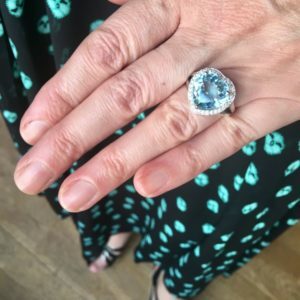 The beautiful Aquamarine is 2.85 carats surrounded by a halo of 12 brilliant old cut Diamonds making a grand total of 0.60ct of Diamonds. 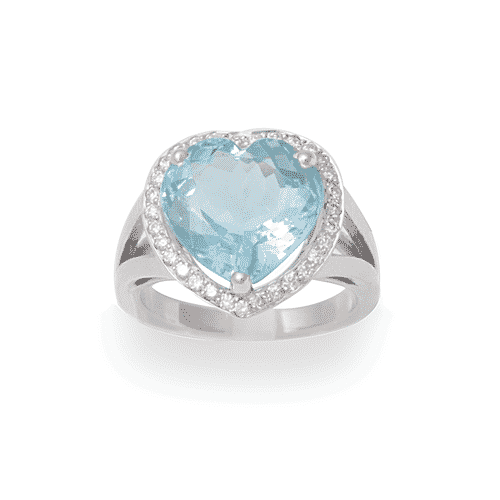 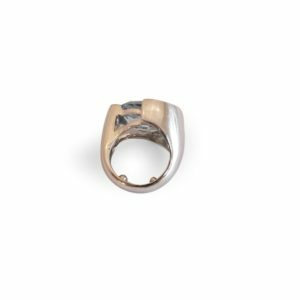 The stones are set in 18ct White Gold.